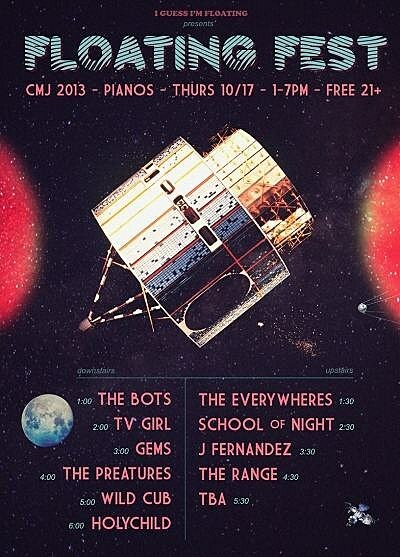 Fellow music blog I Guess I’m Floating is back with its Floatingfest CMJ party on both floors of Pianos. A good chance to check out Australian CMJ buzz-band The Preatures and LA’s TV Girl (one of our CMJ picks). If you like your day parties somewhere a bit fancier, you can catch Atlanta’s atmospheric Mood Rings, Canadians The Darcys, Keren Ann and more for free in the lobby of the posh Ace Hotel. Music starts early here (11 AM). This is NYC Taper’s annual day party and he’s always got a lot of good bands playing, including Boston’s Bent Shapes and locals Caged Animals. Can’t make the show? He’ll have downloadable recordings sometime after. Broadcasting from Judson Memorial Church (part of CMJ Fest HQ), KEXP brings in some of the week’s biggest bands for live on-air performances that you can attend too. Filter Magazine brings its Culture Collide festival to NYC in day party form with a pretty good line-up, including Montreal’s Half Moon Run and New Zealand’s Ghost Wave who are better than their name may have led to to believe. This is a pretty killer line-up, playing at Williamsburg recording studio Mission Sound Recording. 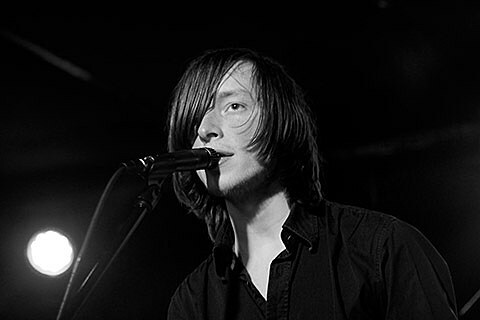 Jacco Gardner and Tweens both made our list of 30 Artists to Check Out and we dig Ski Lodge and Ghost Wave as well. This free My Social List day party features indie rappers Ratking, funk-punk collective Ava Luna, nasally indie rockers Krill, lo-fi pop dude Calvin Love and more. Noon-6. Sam Mickens is throwing this $5 day party at Bowery Electric (or free with CMJ badge), that’s being headlined at 5 PM by crazy weird one-man band Kirin J Callinan, who is sure to put the “party” in “day party.” Arbutus-signed Montreal band TOPS is on right before him at 4:15 and they’re worth catching too. The band we most want to see at this one is Palehound, who is about to release her Bent Nail EP (stream it on Stereogum) on Exploding In Sound Records (the former home of her friends Speedy Ortiz). It’s an excellent EP, pulling equally from quiet anti-folk and abrasive noise rock. She’s on at 4 PM. For all NYC shows, check out our full NYC show calendar.